Here’s an almost shocking list of numbers we use in our world that are also found behind the Bible’s number symbolism. In many cases, number values we thought were the invention of man are found recorded in the Bible – They are God’s numbers. For example, 911 is a well known emergency phone number that we associate with disasters. It came with our phone systems and is thought to be no older than phone technology – nobody knows exactly why this number was chosen (WikipediA-911). If you examine Biblical numbers there can be no doubt 911 is a warning number of God. That’s a bold statement, but the article below shows many number examples found in the Bible supporting the patterns of God’s number themes – too many to believe these could be the product of coincidence or chance. In addition to 911 type numbers, other less surprising numbers such as 180 and 360 are also found used in Bible numerics in a way very consistent with how we would use these numbers today. 180 is a number of direction or the degrees in a half-circle and in the Bible we find 180 related to turning around, turning back, changing one’s mind, a covering and more. All relating to this half-circle or changing direction theme. 360 is the number we associate with the degrees in a full circle and the Bible associates 36 and 360 with the world or earth itself; things that are complete; things that are extreme; things that are surrounded. These number usages are consistent throughout the pages of the Bible – all 66 books written by 40 or so authors use these number themes or meanings in the same way. How is this possible? It’s not difficult at all to imagine if you are one of those who believe God wrote the Bible. It’s his world and is no surprise the numbers he used to create our universe would also be found in his word. Once you see the preponderance of evidence supporting God’s numbers found in our world, I don’t think there is any other reasonable explanation for the consistency of these numbers in scripture. The perfection and structure in God’s word is truly incomprehensible — just like God. Use the index above to link to various number topics found on this page. We all know there are 360 degrees in a circle and 180 degrees in a half circle. When we draw a 180 degree angle we of course get a straight line but the line really has a beginning middle and end point. If we are standing in the middle of the line we have two directions we can go to travel on it and we commonly refer to these directions as forward or back ward or right or left. Now consider absolute sin being at one end of this line and absolute perfection at the other – that’s often the picture we get when examining the Bible’s 180 references. There’s lots of evidence for this number/text association and rather than presenting a list of random evidence that might be contrived, I look to the predictability of the 180th verse of the books of the Bible to offer a evidence that is easier to believe. 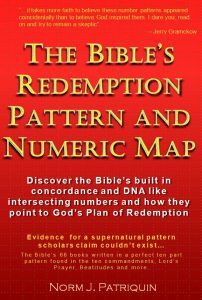 The Bible’s numbers are a DNA like web of both complex and simple number relationships that we will never totally understand, but at the same time there’s some very obvious clues to their validity nearly everywhere you look. One number that’s part of this relationship is the sequential verse number of verses from the beginning to the end of each book. I refer to these as book verse numbers. For example, since there are 66 books in the Bible there are also 66 book verse number 1’s. Number 180 –Consider a number most all of us are aware of and can associate a theme with. The number 180 is associated with 1/2 the number of degrees in a circle and we often hear people speaking of “doing a 180” in reference to turning around, turning back, etc. 180 is also 1/2 of a full circle and thus can be associated with things divided down the middle. There are other Biblical themes associated with 180 such as comparing two things, deciding between things etc. It is no coincidence that the 180th verse of each book of the Bible show some relationship to it’s theme in the text. Some are more obvious than others but the preponderance of (the evidence if you look at these verses as a set) are amazing. There are 35 book verse 180s in the Bible. Consider some of the following 180th bible verses…this pattern cannot honestly be dismissed as coincidence by anyone taking a reasonable look into them. These can easily be confirmed to be 180 verses by simply counting the verses in your own personal bible. If anyone thinks the same could be said about any other set of verses, they might pick another book verse number and see for themselves that although there will be a pattern there, it will not match the 180 themes—Pick the number 360 and see a theme related to surrounding, or all, or entirely, or completely. Look at the amazing 180 verses below. Look for directional themes in the following verses, all of which are the 180th verses in their respective Bible books. Can all these be a product of coincidence? You may not be sure, but when you look at other cross-book numbered verses that in a similar way dramatically point out other consistent themes, the evidence becomes your conviction that only God could have written and numbered the Bible. We know the number 360 to be the degrees in a circle and find this commonly understood number to be associated with many things in our world. In the Bible we find the number 360 and its related number 36 associated with similar things we might not be surprised at; time, direction, earth and the world, coverings, going around things and words like being surrounded. If you could believe that the associations are clear enough and credible – but did all the authors of the books and the ones that numbered the books contrive to make these associations – it is not possible. Consider the few evidences for God’s number 360 found in our world and then watch for these same associations in your own Bible study and I think the evidence will convince you of the amazing thing God has done in his world. The number 360 is related to things related to circular things but also to all encompassing things and often is found associated with phrases that imply everyone, everything, all, totally, we and others. Watch for these associations. Another surprising relationship to the number 36 is the number 666 (3 sixes) which is commonly associated with sin. The number 666 appears to be a number of completness in the sense of spiritually complete/perfect or evil. If you remember the explanation for the number 180 you understand the two directions of 180 can be thought of as perfect good or perfect evil. 18 is 1/2 of 360 and 6+6+6 = 18 (sorry for the number soup). I know this all sounds too convenient but this is what Bible patterns suggest. Consider the verse in the Bible for original sin – Genesis 3:6 “ When the woman saw that the tree was good for food, and that it was a delight to the eyes, and that the tree was desirable to make one wise, she took from its fruit and ate; and she gave also to her husband with her, and he ate“. In this 36 related verse (3:6) we see sin entered the world. Now examine Exodus 3:6 “He said also, “I am the God of your father, the God of Abraham, the God of Isaac, and the God of Jacob.” Then Moses hid his face, for he was afraid to look at God”. In Exodus we find the perfect Glory of God, so much so that Moses could not look at God. The well known Biblical number 666 is found in the 18th verse (6+6+6) of the 1180th chapter (18) – Revelation 13:18 says “Here is wisdom. Let him who has understanding calculate the number of the beast, for the number is that of a man; and his number is six hundred and sixty-six”. The 29666th and other 666 related verses often speak of wickedness – 2The 2:4 “who opposes and exalts himself above every so-called god or object of worship, so that he takes his seat in the temple of God, displaying himself as being God“. I know this appears a explanation of 666 verses but the point is that 36 is related to 666 which in return is often related to pure evil and it seems less often to pure good. The number 36 and 360 are related to things all encompassing or surrounded things as well as circles. The 36th verse of the Bible – the earth with no shrub, no man, no plant – Genesis 2:5 says “Now no shrub of the field was yet in the earth, and no plant of the field had yet sprouted, for the LORD God had not sent rain upon the earth, and there was no man to cultivate the ground”. Note the reference to the earth and creation with the 36th verse of Genesis and the Bible. The 3600th verse – “no one” and “shall surely be put to death – Leviticus 27:29 says ‘No one who may have been set apart among men shall be ransomed; he shall surely be put to death. In all your ways acknowledge him – Proverbs 3:6 (36) – This verse in the 631st chapter (63/36) says “In all your ways acknowledge Him, And He will make your paths straight”. Notice the all encompassing statements “all your ways” and “your paths”. The Builder of all things and 36 — The 36th verse of Hebrews in the 1136th Bible chapter is also the 30,000th verse. Hebrews 3:4 says ” For every house is built by someone, but the builder of all things is God”. Note how the numbers and the text point to all-encompassing things. The 360th verse of John – “I am not of this world“ — is also the 3260th (360) verse of the New Testament. John 8:23 And He was saying to them, “You are from below, I am from above; you are of this world, I am not of this world. 1John chapter 4 is amazingly strong for 36/360 and the world – (warning – advanced number concepts) – This may be a stretch to understand but if you are into a study of the Bible’s numbers, 1John 4 is a great number to study about 36/360 and the world. — 1John 4:4 says ” You are from God, little children, and have overcome them; because greater is He who is in you than he who is in the world“. The word “world” is found nine times in this chapter and there are numerous references to terms such as “every spirit”, “at any time”, “whoever”, “we” and other all encompassing terms. What you don’t see in your own Bible is that this is the 1163rd chapter of the Bible (36 related) and the 234th New Testament chapter (a possible relationship is that 3 & 2+4=36). The 21 verses in this chapter are numbered 30605-30625th which associates every number with 36/360. The chapter and verse are 4:4 and 4 is a number theme for creation, our world or universe and thus also fits with number 360. Associating 4:4 with 36, Psalm 36 contains the cross bible verse numbers 14,440 through 14,451. The 14,444 and 5th verse in this Psalm says “Your lovingkindness, O LORD, extends to the heavens, Your faithfulness reaches to the skies“ which shows the possible relationship between verse 4:4 and this chapter 36. All these numbers are 36/63/360 related and the text fits the chapter and cross-Bible verse numbers. This explanation for the number 360 in our world has attempted to show the strong relationship between the numbers 36, 360 and 360 to concepts related to our earth and other all encompassing things. 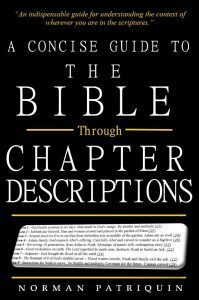 There are many other examples you can examine for yourself – the easiest way to do this is to examine chapter thirty-sixes in the Bible. See if you can figure out how they associate with the theme for 36/360. . The Bible’s Number 777 is a number relating to salvation, sanctification, holiness and being made spiritually clean. An example of the use of 777 in the Bible’s text is where Jesus told his disciples to not only forgive seven times, but seventy times seven. The three sevens in this verse help us comprehend the relationship with 777 and forgiveness — Matt 18:22 Jesus *said to him, “I do not say to you, up to seven times, but up to seventy times seven. One of the well speculated sites of the crucifixion is Mount Moriah which is in Jerusalem. The scientifically known elevation for this mountain is 777 meters. This is a curious observation in itself, but when you discover the Bible’s association of the number 777 with salvation, it is near impossible to imagine this being coincidence (ref: Goggle Earth to confirm for yourself-search for the Moriah Hotel in Jerusalem; position the pointer to this location; then look at the bottom of the display for the elevation. Turn on the “terrain” viewing option to enable the display of elevation – http://earth.google.com/). Psalm 48:2 is an amazing verse I only recently discovered that seems to point out the significance of the elevation of the Mountain of God. When you understand the themes for Biblical numbers this verse becomes an amazing clue to identifying this specific location in our world. You might even think of it as a sort of Bible code to unlocking a long debated mystery – Is the resurrection real and where did it occur? Let’s examine some of the clues. So how do we know this is more than coincidence and that number 777 is related to salvation? The Bible’s numeric map confirms this theme – We might better describe the theme related to 777 as that of being forgiven, sanctified, consecrated or otherwise saved and blessed by God. The most compelling and least likely contrived clues to understanding this theme for 777 are three non-random Bible verses that are found by examining cross-Bible verse numbers related to 7777 – each contain the number “7777”. Here’s what makes them special – When all of the Bible’s 31,102 verses are numbered sequentially, the only possible verses found associated with number 7777 are the 7,777th, 17,777th and 27,777th verses. It is scientifically compelling evidence that each of these three verses have text relating to the 777 theme of sanctification. They are also incredible evidence for the DNA like perfection of the Bible and its Numeric Map. 7777th verse – The consecrated bread — David gets the consecrated/holy bread only intended for the priests — 1Sam 21:4 The priest answered David and said, “There is no ordinary bread on hand, but there is consecrated bread; if only the young men have kept themselves from women”. Notice how this verse both references consecrated bread and the purity of the young men – both fitting the 777 theme. 17,777th verse – Samuel’s sins forgiven — Samuel the prophet is cleansed — Isa 6:7 He touched my mouth with it and said, “Behold, this has touched your lips; and your iniquity is taken away and your sin is forgiven“. This is possibly the strongest and most intense verse of the Bible about sins being forgiven – clearly fitting the suggested 777 theme. 27,777th verse – desecration removed from the temple — In this verse we see a different type of cleansing. Paul is taken from the priests and out of the temple because he was said to be desecrating it (making it unclean). Even though we know Paul was not desecrating the temple, this is the theme and action taking place in this verse and thus fits the 777 theme – Acts 24:7 “But Lysias the commander came along, and with much violence took him out of our hands“. The violence mentioned in this verse may be an indication of a foretelling of Jesus taking his faithful out of the world. Gen 12:8, the 307th Bible verse — (37/777) and speaks of the mountain of God — Then he proceeded from there to the mountain on the east of Bethel, and pitched his tent, with Bethel on the west and Ai on the east; and there he built an altar to the LORD and called upon the name of the LORD. Matthew 4:8 (48) is the 73rd verse — of the book of Matthew tells us of the mountain where Satan took Jesus – “Again, the devil took Him to a very high mountain and *showed Him all the kingdoms of the world and their glory;”. It is interesting that it is Psalm 48 that refers to Mount Zion and this being the 73rd verse relates the passage to 37/777. The word “flood” occurs 37 times (three sevens) – The flood cleansing the earth is an example of God removing wickedness from the earth. Number 77 is also related to cleansing and as more evidence to relate flood and with 77 is found in Genesis 7:17 (77) which is also the 177th verse of the Bible — “Then the flood came upon the earth for forty days, and the water increased and lifted up the ark, so that it rose above the earth“. There are many examples of the relationship of flood to numbers 7, 77 and 17. Number “five hundred” is found 21 times in the Bible – a number for Jubilee. Psalms 22 is the 500th chapter of the Bible and is Jesus speaking from the cross where he was completing the act of redemption for our sins. 500 is a product of 10×50 and fifty is a number of Jubilee – freedom and releasing of all debts – forgiveness. Number “three hundred” is found 21 times in the Bible. This corresponds to the number 30 which is about holiness and righteousness of God (3rd book is Leviticus). 300 is 10 times 30 which can be seen as an order of magnitude of even more holiness and perfection. Other salvation related words occurring 21 times – “bride”, “A righteous man”, “Anointing Oil”, “breastpiece”, “eighth day” (the remnant saved), “deliverance”,…and others. Regarding the 777 meter elevation of Mount Moriah in Jerusalem – There’s a mountain of evidence (pun intended) to examine, but if you can ponder it for awhile, it is quite compelling that the elevation of Mount Moriah being 777 meters has strong association to the act of forgiveness of sins. It seems likely this mountain is associated directly with the crucifixion or is in some other significant way is associated to salvation. These numbers strongly suggest God has left evidence in this world for us to discover that the Bible is the actual Word of God. How else could all these numbers line up in the 66 books written over 2000 years by 40 or more different authors? 911 is a number of warning found throughout biblical numerics and evidence it is a God intended number of warning is significant. Since it is both a number in history as well as a God number in our world it is referenced by two different pages on this website. Click the following link to view the details of God’s numver 911.